We find arts and crafts to be so much fun. We love expressing our selves and trying out different techniques and supplies. After our recent trip to Crayola Experience which you can read about here. We couldn’t help ourselves but try to use our crayons in some new ways. Are you looking for a way to take, creating art with crayons to the next level? Then look no further! 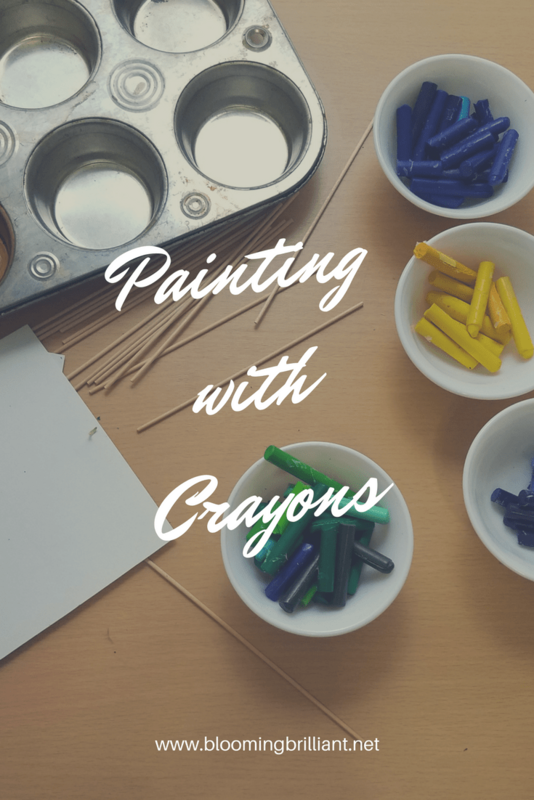 Today we are going to share with you how fun painting with crayons can be! Add a drop of vegetable (or any kind of oil) to your crayons. Then, microwave your crayons in microwave-safe bowls for about 20 seconds, stirring. Then in your muffin tin, pour boiling water. Place your microwave safe bowls and melted crayon on top of the boiling water. This will help keep your crayon melted. Now with paint brushes, you don’t mind tossing in the trash, paint! If you want to try saving the paint brushes, try to let them soak in hot water.